Vintage straight razors and cutlery from the late 1800s on. Custom, one-of-a-kind knives from renowned knife makers Chris Love and Blair Todd. Handcrafted hardwood cutting boards made locally in Seattle by Wally Liedke. 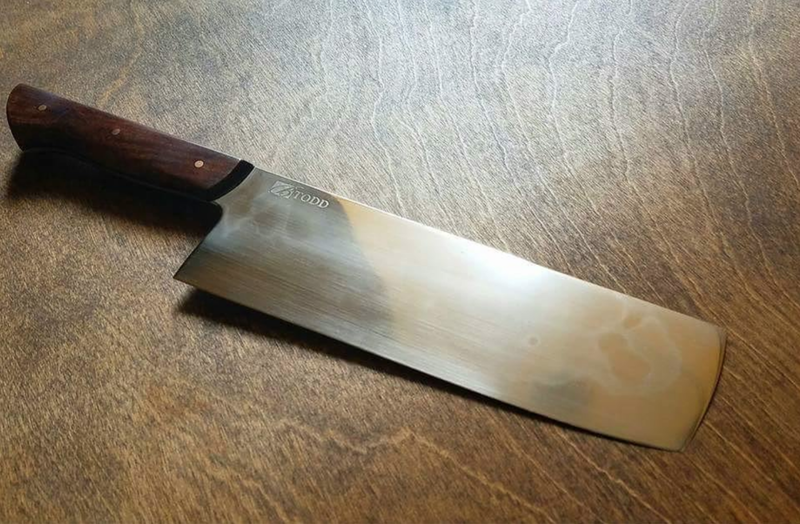 Only Seattle Edge sells these professional-quality artisan knives in Seattle, few mainstream stores carry these distinctive lines, and they are not available on Amazon. Albert can discuss the advantages of these beautifully crafted cutlery and you can experience for yourself in the shop! The stunning Tadafusa Nashiji series is an excellent choice for those who prefer sturdy, traditional Japanese knives. The blades are Aogami blue steel laminated between two layers of rustic-finished stainless steel. The blue steel offers a fine, tough edge that touches up quickly, and stainless steel helps protect the blade while decreasing the patina characteristic of carbon steel. The ambidextrous carbonized wood handle is light, creating a forward balance that aids in the cutting process. Since 1946, Sakai Takayuki has been making high quality knives respected by knife connoisseurs the world over. While Sakai Takayuki has only been in business fo the last 70 years, Sakai’s history of sword and knife making dates back 600 years. Tradition, creativity and innovative design ensure your Sakai Takayuki knives will be with you for years to come.